During this Uganda Journey Classic leads you across Uganda and the most beautiful national parks. These include Murchison Falls National Park, Queen Elizabeth National Park, Kibale National Park, Bwindi Impenetrable National Park and Lake Mburo National Park. You will experience a variety of great wildlife during a walking safari, a boat safari, the chimpanzee and gorilla tracking as well as some spectacular game drives. You need team spirit, a good endurance and condition. The minimum age for gorillas and chimpanzees tracking is 15 years. In addition, participants may not suffer from infectious diseases. The surcharge for the Gorilla Permit is due to the bill and is non-refundable. The Queen Elizabeth National Park is dominated by Lake Edward in the west and Lake George in the east. Both lakes are connected by the Kazinga Channel. Not far away lies the Rwenzori Mountains, which dominates the landscape. Hippos and pelicans catch the eye, next to indicates the presence of African buffalo, elephant, lion, various antelope and over 600 bird species on the ecological diversity of the area. The largest protected area of the country extends beyond the Murchison Falls National Park. A spectacular waterfall of the Victoria Nile was eponymous for this park, life on the Nile crocodiles and hippos. A particularity of this wildlife-rich Savanenlandschaft represents the rare Ugandan Giraffe (also: Rothschild Giraffe) represents and the rare shoebill stork. The Kibale National Park is known for its habituated chimpanzees. Its rainforests support a total of 13 species of primates (inter alia Red colobus (Colobus Red) and Eastern Hoest’s monkey) and a larger inventory of forest elephants. It covers 766 km² and is located approximately 40 km south of Fort Portal. Since 1994, the Bwindi Impenetrable National Park is a World Heritage Site and protecting the habitat of 400 mountain gorillas. That is 50% of the world total population. The National Park is high between 1160m and 2600m. In so-called Gorilla trackings visitors have the opportunity to visit this endangered, habituated mountain gorillas. Thanks strictly limited Gorilla Permits the protection of gorillas is guaranteed and supports the remaining habitat of the gorilla groups. To the south, Lake Mburo National Park, the habitat consists of open grasslands, acacia forests, marshes, lakes and. 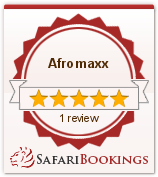 A special highlight are guided walking safaris. Our driver will pick you from Entebbe Airport after your arrival and bring you to the hotel. Today you drive from Kampala to Murchison Falls National Park. Around lunch time you will stopp at Ziwa Rhino Sanctuary for a guided bush walk. You will see the huge rhinoceros. After lunch, you will continue the journey. A morning Game drive is scheduled after Breakfast. Murchison National Park has an impressive wildlife. Uncountable crocodiles, hippos, elephants, lions and antilops are seen. In the afternoon you will join a boat safari on river nile. There are many colorful water birds along the shore and you will see the famous Murchison Water Falls. Enjoy the spectacular views of the longest river in Africa. After breakfast, you will have a short morning game drive in Murchison National Park. Then the time has come to leave that fantastic park and drive to Lake Albert. This is a beautiful scenic route with a magnificent view point over Lake Albert and Kongo Region. In the late afternoon, you arrive at the lodge . After a relaxed breakfast you will continue your journey to Fort Portal. This day leads you through villages, green forests and hills with tea plantations. Those cultivated green hills might remind you about the Toscana in Italy and are very characteristic for this part of Uganda. The Kibale Forest National Park has the highest number of primate species in the world. In Uganda, there are about 5,000 chimpanzees in the wild, perfect for the Chimpanzee Tracking today. Expect a tough trek through the dense bush. Apart from the Chimpanzees you can see various other species of monkeys such as the colobus. The most known national park of Uganda is Queen Elizabeth. The Park lies at the foot of the majestic Rwenzori Mountains, overlooking Lake Edward and Lake George and both lakes are connected by the Kazinga Channel. Here you can see everything which the African Wildlife has to offer. There are numerous lions, buffalo, hyenas and of course the Uganda Kobe antelope. You will enjoy a morning game drive in the Queen Elizabeth National Park. Especially the elephant population with about 3000 animals is impressive. At noon, you will continue your journey to the Ishasha region. The famous place to see tree climbing lions. Also, other big cats like the leopard are found here. Bwindi Impenetrable National Park contains 50 % of the world gorilla population and is one of the last places in the world were gorilla can be seen face to face. With the growing number of tourists, the gorilla population has started to recover considerably. Every gorilla family is unique and their names like Otaka, Elsa or Nyakina are soon familiar to you. As you penetrate along the wooded hillsides, tangled vines and bamboo plants in the dense jungle, you learn a lot about the fascinating giant. The experienced guides will show you traces of previous activities of gorillas. For example, nests, dung and nibbled bamboo shoots. Suddenly you will face the strong, almost human acting mountain gorilla! National Park. It is the second smallest National Park in Uganda and despite he is not very well known, you will see lots of wildlife during the game drive. Lake Mburu is one of two National Parks in Uganda, where guest are allowed to go for a walking safari. With an experienced Ranger you will explore the nature. At noon our drive back to Kampala / Entebbe starts. Depending on the time of departure our driver will bring you to Entebbe Airport.